The Customize Windows > Computer and Internet > Hardware > What Are HDMI ARC, eARC and HDMI-CEC? What Are HDMI ARC, eARC and HDMI-CEC? In our previous article on types of HDMI cables, we discussed the major matters to choose proper version of HDMI cable. HDMI 2.0 (HDMI 2.1 is latest at time of writing, November 2018) was decided to be the cheap yet practical solution. Now, what Is HDMI ARC, eARC and HDMI-CEC? HDMI ARC is for sending sound, HDMI-CEC mainly for control of the 2nd device with one remote control. HDMI eARC mainly for higher-end devices (at time of writing, November 2018) and unless you are sure if your device is mid-range then likely to have either HDMI ARC and HDMI- or both. What Are HDMI ARC, eARC? HDMI 2.1 specification has a new and improved audio technology, called Enhanced Audio Return Channel (eARC). eARC supports full-resolution audio signal such as Dolby Atmos and similar uncompressed sound. Presence or absence of both can be difficult to even notice, more complex to activate and too much brand dependent. Sony DAV TZ145 Home Theatre nicely supports HDMI-CEC with Samsung NU7100 series television. In absence of official documentation and branded jargons (like Brevia Sync), the process often becomes experimenting various settings on both sets. If the audio system supports HDMI-CEC but not audio return function then an HDMI splitter with RCA out needed to somewhat make the system modern. Tagged With what is hdmi cec? 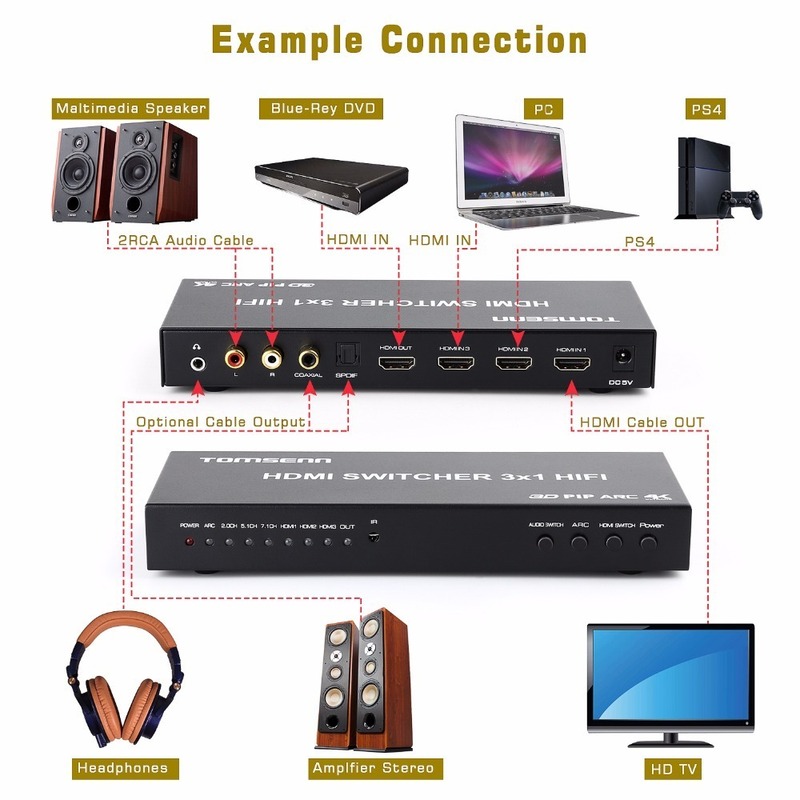 , what is hdmi 2 0 , what is CEC and ARC , samsung earc soundbar , hdmi earc , HDMI CEC and ARC , hdmi arc hdavi control 2 , earc without cec , earc hdmi to 1080p hdmi , earc better at controlling soundbar than cec? This Article Has Been Shared 2041 Times! Articles Related to What Are HDMI ARC, eARC and HDMI-CEC? Raspberry Pi With All Needed Things For GUI is No Way Cheap. Here is Cheapest Way to Setup Raspberry Pi as Headless Like Server to SSH & Work. Here is a Comprehensive Article on Split AC Versus Window AC For Computer Room Cooling Explaining the Technical Differences and Practical Aspects. Title: What Are HDMI ARC, eARC and HDMI-CEC? Cite this article as: Abhishek Ghosh, "What Are HDMI ARC, eARC and HDMI-CEC?," in The Customize Windows, November 27, 2018, April 25, 2019, https://thecustomizewindows.com/2018/11/what-hdmi-arc-earc-hdmi-cec/.